Take your Balboa dancing to the next level! 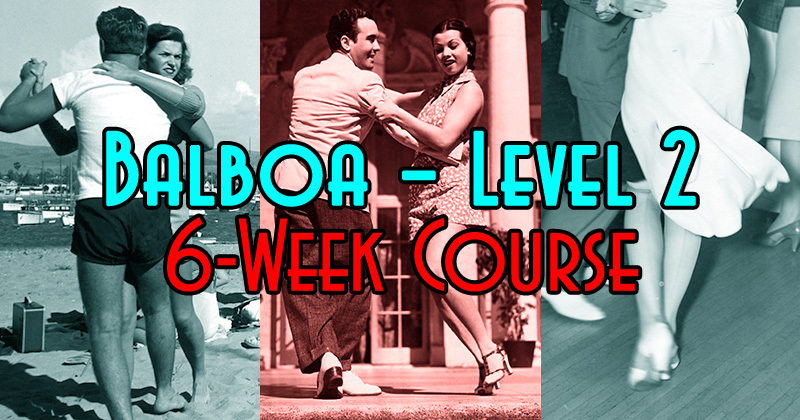 In this 6-week course, you'll become a better Balboa dancer. You'll learn more Balboa moves and turns, more advanced footwork and styling, plus better Balboa partnering and dancing techniques. You'll become more comfortable dancing Balboa, you'll start increasing your tempo range, and most importantly, your partners will better enjoy dancing with you! PREREQUISITES: This course is for dancers who demonstrate solid foundational skills (covered in Balboa I) and who can already comfortably dance the basics of Balboa (covered in Balboa I). We highly recommend that you take Balboa I at least once before attempting Balboa II. Instructors reserve the right to remove any student from this course who lacks the prerequisites. REGISTRATION: We encourage you to register in advance (no payment required). Click "register in advance" link, and you'll be taken to the Simone Salsa website. There, click "Register Here" link under Balboa 2. Then fill out the form and click the "Register" button. You can also register the first day of class at the studio, but please arrive early!